Colt strikes a smile as he rings the celebratory gong. A rite of passage in reading families is to receive you library card when you turn 5-years-old. Carnegie Public Library congratulates Colt, Harrison and Vincent for getting their new cards. Harrison, with his mother Jolie, happily displays his library card. Vincent has spent a the afternoon building this train table scene, but he is most proud of his new library card. https://www.recordherald.com/wp-content/uploads/sites/27/2019/02/web1_Colt-rings-the-gong.jpgColt strikes a smile as he rings the celebratory gong. 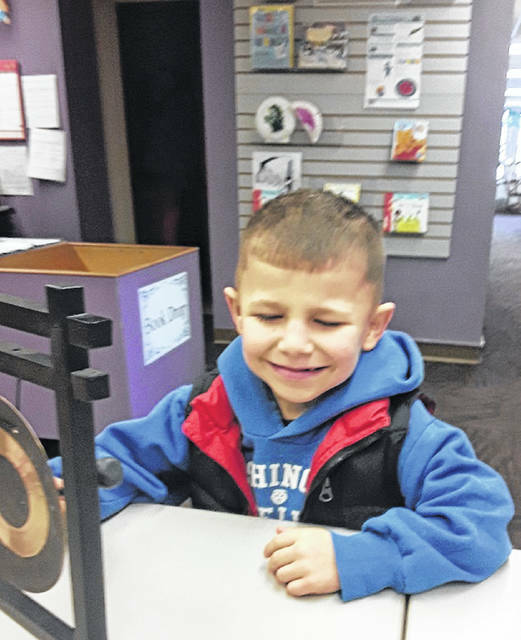 https://www.recordherald.com/wp-content/uploads/sites/27/2019/02/web1_harrison-and-jolie.jpgA rite of passage in reading families is to receive you library card when you turn 5-years-old. Carnegie Public Library congratulates Colt, Harrison and Vincent for getting their new cards. 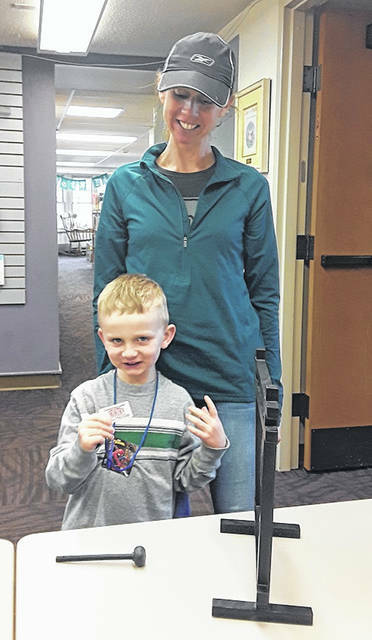 Harrison, with his mother Jolie, happily displays his library card. 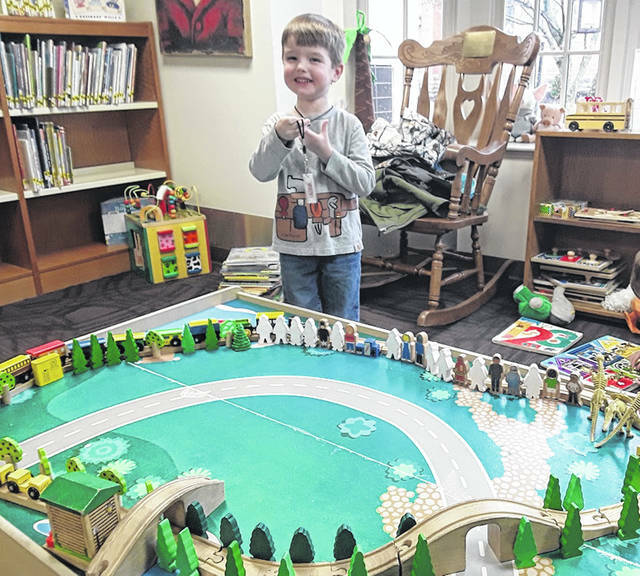 https://www.recordherald.com/wp-content/uploads/sites/27/2019/02/web1_Vincent-train-table.jpgVincent has spent a the afternoon building this train table scene, but he is most proud of his new library card.